Klipsch, one of the first U.S. loudspeaker companies, has been building premium speakers since 1946. 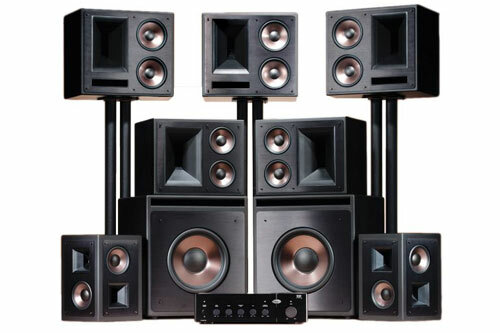 From state-of-the-art home theater systems to audiophile-quality architectural speakers, and from tiny headphones to massive professional cinema systems, Klipsch has a premium sound solution for every lifestyle, application and budget. About Prewire of El Paso, Inc.
Prewire of El Paso has been serving the greater El Paso area for over 36 years. Sharon Drury is the President and CEO of the company since its inception in 1982. Prewire of El Paso started out in the construction industry by providing low voltage wiring consisting primarily of telephone and cable TV. Prewire has evolved into a major low voltage integrator throughout West Texas and New Mexico; providing wiring, installation and servicing.